Australia is well known for its coveted national treasures, such as gold, diamonds, nickel, gas and coal. And because Australia is conveniently situated close to some of the biggest consumers of these natural resources, this country has become a top trading partner for major Asian economies like Japan, China and Korea. 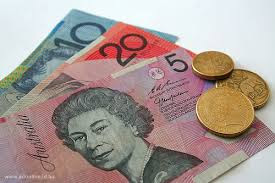 The Australian dollar is controlled by The Reserve Bank of Australia. In contrast to the U.S. system, the Australian monetary system requires no minimum reserves of its banks. Australia also has some of the highest interest rates in the world. Historically, from 1990 until 2012, the interest rate in the country averaged 5.5% reaching an all time high of 17.5% in January of 1990 and a record low of 3.0% in April of 2009. Australia has the 13th largest economy in the world and places a heavy emphasis on its commodities. Mining accounts for over %5 of the country's GDP and farming accounts for over %12 of the country GDP. While there had been some growth in the 1980s, Australia doesn’t have a stellar manufacturing sector. It also has a significant account deficit and the Aussie dollar is oftentimes volatile. Much of the Aussie dollar is tied to Asia, and the commodity cycle. For example, the demand in China and India for natural resources have elevated the Aussie dollar, only to have it fall later as commodity demand goes down. Higher commodity prices create pressures to avoid a recession. Australia is often a part of carry trades that combine with the Japanese Yen. The regions often overlap due to the fact that Japanese interest rates are low and Australia's rates are high. Australia's region is attractive to traders due to its stable government and dedication to business. India and China are large importers of Australian goods, and the country is also a top importer of machinery and consumer goods in Asia.